China stocks resumed their freefall on Tuesday, taking heavy losses even after the government pumped huge amounts of cash into the economy. The Shanghai Composite was battered in the final hours of trading, closing down 6.4%, while the Shenzhen Composite declined 7.1%. Elsewhere in Asia, Hong Kong's Hang Seng and Tokyo's Nikkei posted losses of around 2.5%. 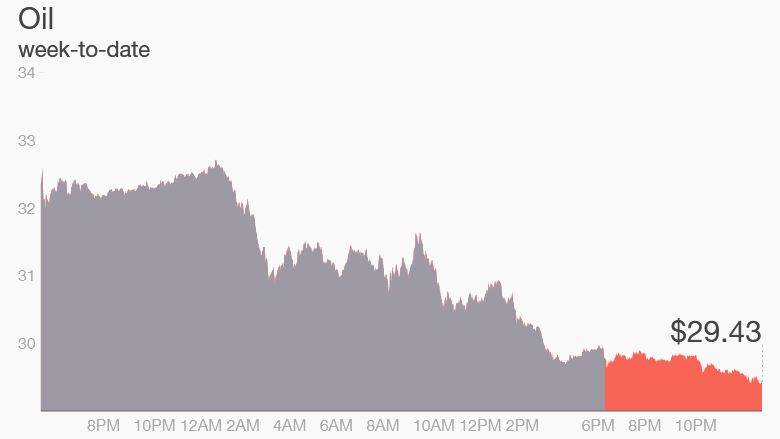 Global markets have suffered from extreme volatility to start 2016. Swings have been fueled by plummeting crude oil prices and increasing uncertainty over global growth amid China's economic slowdown. In 2015, China posted its slowest annual growth in 25 years. Beijing has worked to calm growth concerns and market turmoil, injecting cash ahead of the major Lunar New Year celebration in early February. The central bank typically does so at this time of year to ensure adequate liquidity in the country's banking system, as demand for cash rises around the holiday. But it hasn't been enough to stem the turbulence. The Tuesday slump in Asia followed a rough start in U.S. markets on Monday. 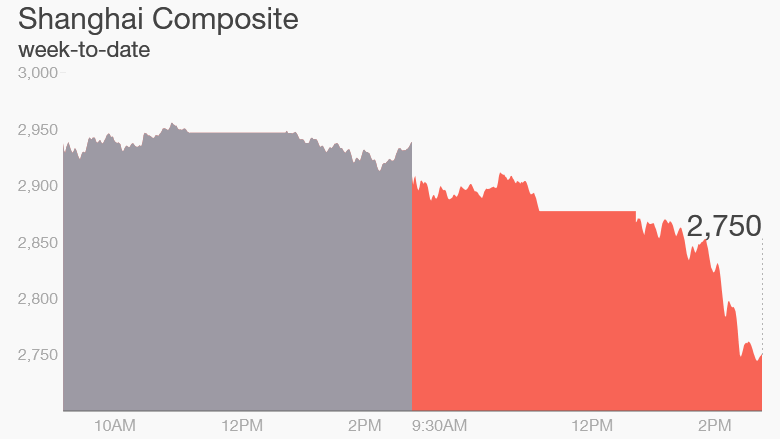 The S&P 500 dipped 1.6%, while the Dow lost 1.3%. Oil prices have also resumed their slide to roughly $29.42 a barrel, after skyrocketing 23% in 48 hours last week. Major markets are deep in negative territory so far this year. Stocks in China have led the way with a drop of more than 20%, followed by a 14% fall in Hong Kong. Germany's Dax has lost 8.6%, London's FTSE 100 is down around 6% and the S&P 500 has plummeted over 8%.